In this week’s jam packed episode of The Gifted, Lauren dives deeper into her dark family legacy, while Lorna finally starts seeing sense as Reeva recruits a number of dangerous mutants to the Inner Circle’s cause. Meanwhile Marcos and Blink return to the Morlocks for help and Jace finds himself questioning his and the Purifiers methods. 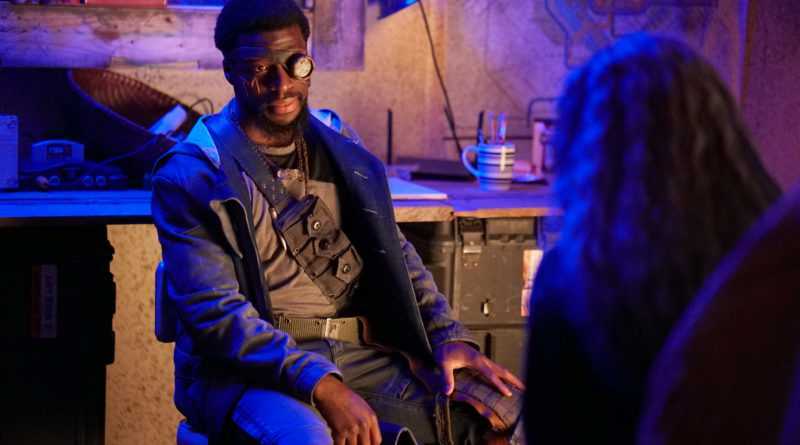 Following last week’s self contained episode which saw the two sides of the mutant cause come together to rescue Thunderbird from the Purifiers, ‘meMento’ signals a return to the main storylines of the season – and it looks like the fractures in the Strucker family are continuing to appear. Is anyone else really worried about Lauren? Ever since her reunion with Andy she’s become obsessed with training to take the Inner Circle down, as well as unlocking the history of her villanous ancestors Andreas and Andrea Von Strucker. Her obsession with Andreas’ creepy music box is clearly unhealthy, especially as her nightmares of their demise are affecting and changing her powers. Reed is clearly worried, but Caitlin seems to be happy with letting her daughter go down this dark route if it means that she’s getting stronger – can she not see her obsession to destroy the Inner Circle is seriously at the expense of her daughter’s health?! Come on Caitlin! Meanwhile, how great is it to see Lorna finally come to her senses when she discovers that Reeva recruited three violent criminal mutants who destroyed the Ignavus cruise ship and killed thousands of people in the process, including children. After admitting this isn’t the cause she signed up for, I’m so glad that she finally reconciled with Marcos and I really enjoyed seeing the two team up to investigate Reeva’s plans. That surprise twist at the end of the episode genuinely surprised me, and it’ll be interesting to see what they do with that information. I’ve got to admit the aurora borealis effect when they kiss is pretty cheesy, but I’m so happy to see them (sort of) back together again! THE GIFTED: L-R: Amy Acker, Natalie Alyn Lind and Stephen Moyer in the “meMento” episode of THE GIFTED airing Tuesday, Jan. 8 (9:00-10:00 PM ET/PT) on FOX. ©2018 Fox Broadcasting Co. Cr: Annette Brown/FOX. 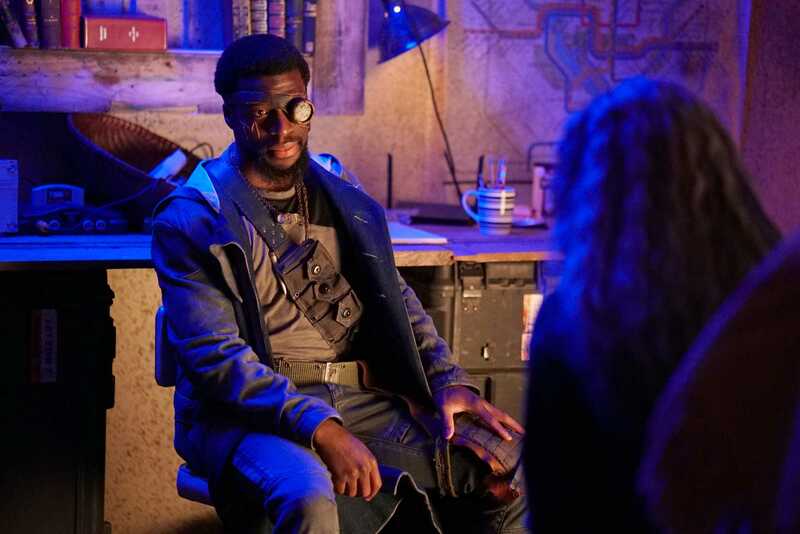 Returning this episode are the criminally under-used Morlocks, as Marcos once again tries to recruit them to the Mutant Underground’s cause following Caitlin’s pressure on the group to take down the Inner Circle. I really wish the show used these classic X-Men characters more, as there’s so much they could do with them! Blink continues to be the sassiest and most grounded character on the show as she calls Marcos out on being a hypocrite for asking her to take him to the Morlocks, I’m seriously concerned that she’s going to join them though! Following the attack on the Purifier’s base and the shooting of Thunderbird, Jace seems to finally be questioning just what the hell he’s been doing with the extreme group. When Ted ends up shooting an (unarmed) innocent young mutant in a homeless youth shelter, Jace begrudgingly covers for him, but you can tell the comment from the mutant who he was interrogating was playing on his mind, “My granddaddy didn’t need a reason to run from the Klan, and neither did yours.” Come on Jace – snap out of it! Overall ‘meMento’ was a decent episode that teased an important meeting for the Mutant Underground in the next instalment, but I still feel like they’re stringing the inevitable showdown with The Inner Circle out. I’m dreading to see what’s going to happen to Lauren if she continues down this path, as well as worrying about Blink’s future with the Mutant Underground. Still, it was great to see some more Eclaris! ← Marvel teases the War of the Realms #2!